To be fair, I think they could go for a much more thematic name that F.L.Y. It's like calling Taron S.P.E.E.D, it's . Steel & Story, Howie, Robert.W and 6 others like this. To be fair, I think they could go for a much more thematic name that F.L.Y. It's like calling Taron S.P.E.E.D. It's . I share your opinion because when you say it: Rookburgh, Charles Lindbergh and then F.L.Y. : just does not fit. So I hope this case is closed and they come up with a suitable name. Steel & Story, Yoris Kerkhoff and CrashCoaster like this. I can't help but think that F.L.Y is genuinely an abbreviation of the actual name of the ride as opposed to it being a design feature of the word fly. I'm by no means a big fan of the name, haven't been since the very beginning; however it is nothing like 'calling Taron speed'. That wouldn't thematically work with the Germanic/Norse hybrid theme of Klugheim. However clearly the impression so far is that Rookburgh's theme is very much about aviation/flying - as evident with all the concept art, teasers, marketing about the 'unique sensation of flight' and references to the "Air Rail Company" (presumably connected to the ride's backstory) and the hotel being named after famous aviator Charles Lindbergh who started a great surge in public + business interest in aviation during the 1920s. So using the word F.L.Y. does thematically fit I don't think that can be denied, regardless of whether people like the sound of it or not. And to be fair it gets the main unique selling point of the coaster across too. Coaster Hipster and Yoris Kerkhoff like this. I've always felt that F.L.Y. was a weird name, especially since the park had moved away from English names for things since Black Mamba in 2006. Since then, all their names have always seemed to be non-English words which make thematic sense for the individual rides and areas. In my opinion, Fliegen (German for fly) sounds better than Fly, so it is a very odd choice. Like Lofty says, it must surely be an abbreviation for something, presumably German. I've always lived in hope that F.L.Y. was simply a project / advertising name to get the point across that it's a flying coaster, and there would be a name announcement in the future. Obviously with the fight to keep the name that doesn't appear to be the plan...though I guess it's possible that may just happen! Pear, CSLKennyNI, Yoris Kerkhoff and 1 other person like this. Zek_Teh_Kek, Coaster Hipster, dirkjarczewski and 3 others like this. Yeah, it certainly is an abrevation, I assumed a German abbreviation but I hope they come up with a better name and not an English one. I also hoped that with the new entrance coming for River Quest, they would have changed that name too. Now he's becoming a part of Klugheim and the name doesn't fit for me anymore. I mean: Klugheim, Taron, Raik...and River Quest. Maybe It's just a name but for a park which is that much into theming, cohesion and logic, it can get done better IMHO. Since there are basically no German words starting with y (y isn't really used in German anyway, it mainly appears in words coming from other languages), I doubt it will be a German abbreviation. Either F.L.Y. 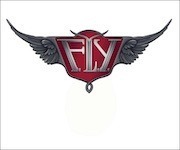 means something in English, or the actual name has nothing to so with F.L.Y. at all and it's really just a project name. I also don't think "Fliegen" (to fly) would be a good word by itself, because it means "flies" as well, both the action and the insects. Who would enter an attraction that promises annoying insects. Flies, the attraction. And for the real thrillseekers: BEES. Howie, CrashCoaster, Yoris Kerkhoff and 5 others like this. Coaster Hipster, Robert.W, mrrc and 1 other person like this. Pay once, visite twice is going to be repeated with the start of the new season. Is this a sign that there'll be no opening of Rookburgh in 2019? They've been running this offer every year now for a long time. Nothing out of the ordinary; has no bearing on Rookburgh. Be_coaster, Yoris Kerkhoff and mrrc like this. Why do you can't use the free entry in July and August? Could be there the opening of Rookburgh and they do not want an overcrowded Park? Because those are the busier summer months, they are encouraging revisits outside of the high season. July and August have always been excluded from the offer. As I said it has nothing to do with Rookburgh. Ireeb, Yoris Kerkhoff, UP87 and 3 others like this. Some people over at phantafriends.de seem to be watching the intellectual property office all day. There is a new entry from the same lawyers that partly failed to secure trademarks for F.L.Y. and it contains a logo. Interesting, rather steampunk mixed with a dragon I feel. Look forward to seeing a higher quality version. Coaster Hipster, Pokemaniac, Pear and 5 others like this. Not gonna lie, it kinda looks like a logo you’d find on the front of a car I do quite like it though. I really like it? It's stylish and modern yet has hints back to steampunk origins. Could work really well. Yoris Kerkhoff and CSLKennyNI like this. It still has the silly dots, though? Steel & Story and Lofty like this.